As I started the project, I realized pretty quickly that I shouldn’t have taken it; you see this project involved transcribing interviews and I hate to transcribe. As a little back story, I had taken a temp job in mid-March as I was just getting my business started to help ends meet and one of the things I had to do at that job was transcribing. I was very thorough, but it took me a long time, and as this was my only job at the time and I worked on site, it wasn’t a problem spending a whole day doing it. Flash forward to now and it’s a whole different story, so you may be asking yourself as I did once I got into it, why did I take this job? Good question! I think that I got a bit full of myself and figured that I could handle this project on top of my regular workload and with the holidays fast approaching I could pick up some extra money as well, after all as a new business owner every dollar helps. What I forgot is how much time it takes to transcribe these particular interviews and how difficult they are to do, especially since they don’t follow the discussion guide and I have to reduce long-winded soliloquies into a single paragraph to answer one question. Did I also mention that I had to do four of them? I started the first one and it was not going well so I stopped and started doing some of my regular work. Then I got an email from the project manager asking how I was making out with the interviews…uh oh, so I stopped what I was doing and jumped back on those. Before I knew it almost two hours had passed, I had finished transcribing, sent it in, and went back to my regular work. A little while later, I get another email from the project manager asking for more detail from the interview, so I stopped my work again, redid the interview and sent it back in. At this point I was way behind in my work and decided to just stick with the transcription until it was done. I managed to get through two more while also fielding emails from clients and trying to get at least a couple items done on my to-do list. Finally I got to the final interview and it was a novel! There was so much to do with this one that I sent the project manager an email telling him that I would finish this one up and that I will not be able to do these again because they just take too long! During this final transcription, I missed two calls from one of my clients because I was so focused on finishing that I turned off my phone; I almost missed getting out an important email for another and had to stay up til very late trying to play catch up since the transcription took all day. 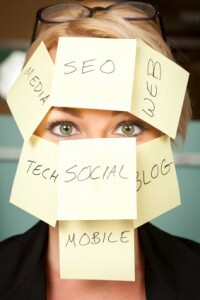 After getting very frustrated, I realize without any hesitation that multi-tasking does not work. Not only did it split my focus, it made me feel very unorganized and slowed me way down; I felt like I got nothing done and was aggravated for the rest of the night and didn’t sleep well at all. I also learned once again to not take on more than I can handle at any one time and if I do, to make sure that it is something I like doing. Hopefully I’ve helped someone avoid the pitfalls of multi-tasking; I know I’ve learned my lesson and I will never do it again!